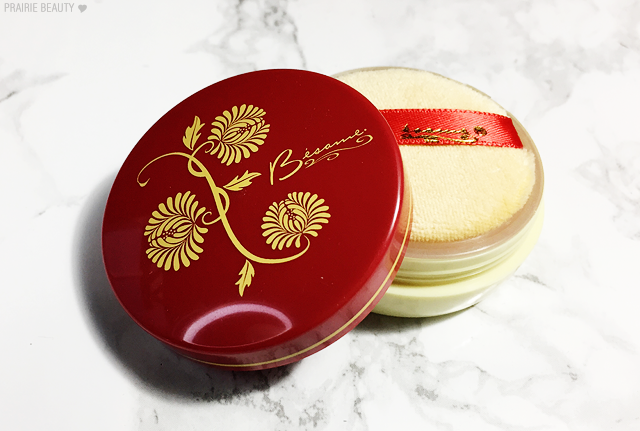 Once upon a time, there was a vanilla powder from a Korean beauty brand that I was dying to get my hands on, but I didn't order it and now I feel like it just doesn't exist anymore - at least anywhere that I can find it online. I think that's a pretty significant part of why I picked up this powder - well, that, and all the good reviews I'd seen online. 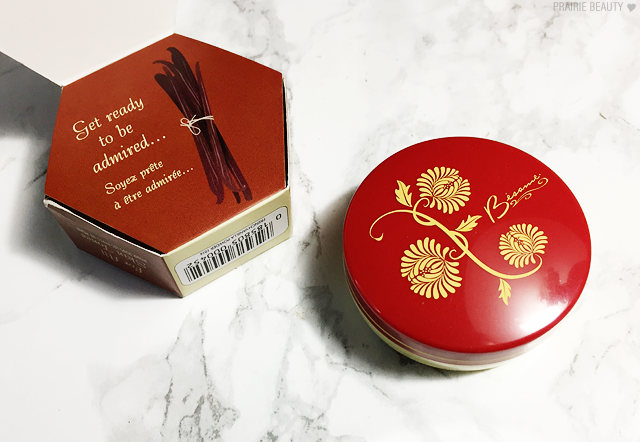 And, I mean, there's definitely something really appealing about the vintage look packaging of all of the Besame products, am I right? I'm not going to ramble... Let's just get to the review, shall we? The packaging of this product is absolutely adorable, it has to be said. It definitely has that sort of old timey look to it, but I actually feel like it just doesn't look or feel expensive. And it is expensive, it really is. I did a cost comparison per gram of other popular setting powders and I really feel like I need to share it, because it's actually really annoying. Prices listed below are in Canadian dollars. I included the Georgio Armani not because I've heard much about it (it's listed on the Sephora website as being new), but because I wanted to underscore the fact that you're paying a luxury price tag for this powder. This powder just didn't work for me and I returned it. I don't want to count this powder out completely, but I definitely need to tell you why it didn't work at all for me - because it might be the same reasons it wouldn't work for you. First off, I bought the wrong shade. That's my bad because I bought it on a bit of a whim, but if you're fair to light skinned the Vanilla shade is absolutely going to be too dark on you. Because I bought this to use under my eyes, the shade just ended up making me look sallow and sick. It was actually really, really unattractive. Next, this is definitely not a good powder for under the eyes - or at least under my eyes - which is what I bought it for. I've heard a lot of people say that this powder is smooth and fine, but when I applied it under my eyes with either a beautyblender to bake or with a light setting brush to very lightly set my concealer this ended up settling into lines and looking cakey, which instantly aged me. I think this could be a good texture as an all over face powder for people with combination or oily skin, but it definitely didn't work for me. Finally, as cute as the packaging is, it's also next level annoying. Getting the product out of the sifter so that you can actually use it is like pulling teeth. The cap over the holes is a good concept, but it means that you can't really shake the powder out with the lid on, so I found myself having to fight with it to get the powder out. I'd much rather have a slightly messy lid than to not be able to get to my powder. 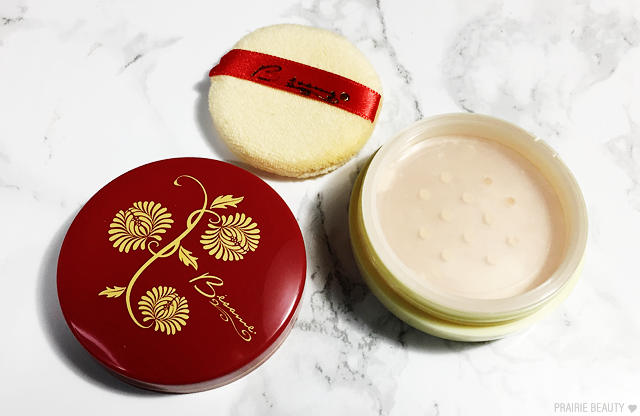 Like I said, I returned this because it was just 100% wrong for me - and I exchanged it for a travel size of the Laura Mercier Translucent setting powder, which cost $1 more than this one, contains 50% more product, and is an absolutely beautiful product. 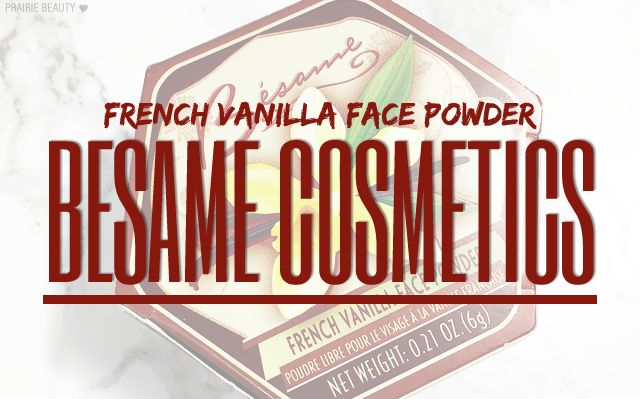 While I know there are a lot of people that like the Besame French Vanilla Face Powder, I am definitely not one of them and I would absolutely not recommend it unless your needs are very different than my own.